A new study puts large-scale evidence behind what many hospital patients already know: Having a urinary catheter may help empty the bladder, but it can hurt, lead to urinary tract infections, or cause other issues in the hospital and beyond. In fact, in-depth interviews and chart reviews from more than 2,000 patients shows that more than half of catheterized hospital patients experienced a complication of some kind. 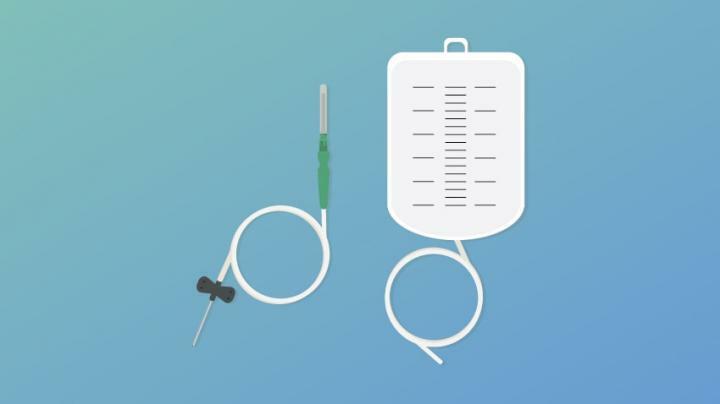 Many patient safety experts have focused on the UTIs that can arise from indwelling urinary catheters, also called Foley catheters. But the study shows that they're five times less common than non-infectious problems. Those issues ranged from pain, bloody urine and activity restrictions while the catheter was still in, to problems with urination and sexual function after it came out. Saint, a longtime champion of efforts to measure and prevent catheter-associated infections, is chief of medicine at the VA Ann Arbor Healthcare System, George Dock professor of internal medicine at the University of Michigan and director of the U-M/VA Patient Safety Enhancement Program. For the new study, published in JAMA Internal Medicine, Saint and his colleagues from U-M, VAAAHS and two Texas hospitals analyzed data from 2,076 patients who had recently had a catheter placed for short-term use. Most of them received the catheter because they were having surgery. The team went back to each patient two weeks and again one month after their catheter placement, and asked again about their catheter-related experience. Because two of the hospitals in the study are VA hospitals, nearly three quarters of the patients were male. The catheter was removed within three days of the insertion for 76 percent of the patients. Infections – either a formal diagnosis or symptoms consistent with one that required a doctor's attention – were reported by just over 10 percent of patients. 55 percent of patients reported at least one complication of a non-infectious kind. Not many patients said the catheter hurt going in, although most patients were having an operation and were not awake when the catheter was placed. But 31 percent of those whose catheter had already been removed at the time of the first interview said it hurt or caused bleeding coming out. And more than half of those who were interviewed while they still had a catheter in said it was causing them pain or discomfort. One in four of all patients said the catheter had caused them to experience bladder spasms or a sense of urgency about urinating, and 10 percent said it had led to blood in their urine. Among those who were interviewed while a catheter was still in place, nearly 40 percent said it restricted their daily activities, and 44 percent said it restricted their social activities. Among those who had already had their catheter removed, about 20 percent said they had experience urine leakage, or difficulty starting or stopping urination. Nearly 5 percent said it had led to sexual problems. "While there has been appropriate attention paid to the infectious harms of indwelling urethral catheters over the past several decades, recently we have better appreciated the extent of non-infectious harms that are caused by these devices," says Saint. He and the other authors plan further research on the topic. "Given our findings, we believe it is important to develop strategies for better tracking non-infectious complications of the urethral catheter and prepare patients for dealing with these types of issues, especially after they leave the hospital," says senior author Sarah Krein, Ph.D., R.N., of the VAAAHS and U-M.
Saint, Krein and co-authors John Colozzi, Karen Fowler and David Ratz, are members of the VA Center for Clinical Management Research. Saint, Krein and co-author John Hollingsworth, M.D. of the U-M Department of Urology, are all members of the U-M Institute for Healthcare Policy and Innovation. Their co-authors on the paper include Barbara Trautner, M.D., Ph.D. and Erica Lescinkas, M.D. of the Baylor College of Medicine.